Unless I’m awakening here. Vast land, unlimited landscape, breathtaking views from every room–even the hallways through this FramHouse, are lined with glass and sweet whispers of wood. The picturesque window views reveal a whole other way to see ‘skies the limit’. If there was a place I’d go when I die, this is exactly what I want it to look like. 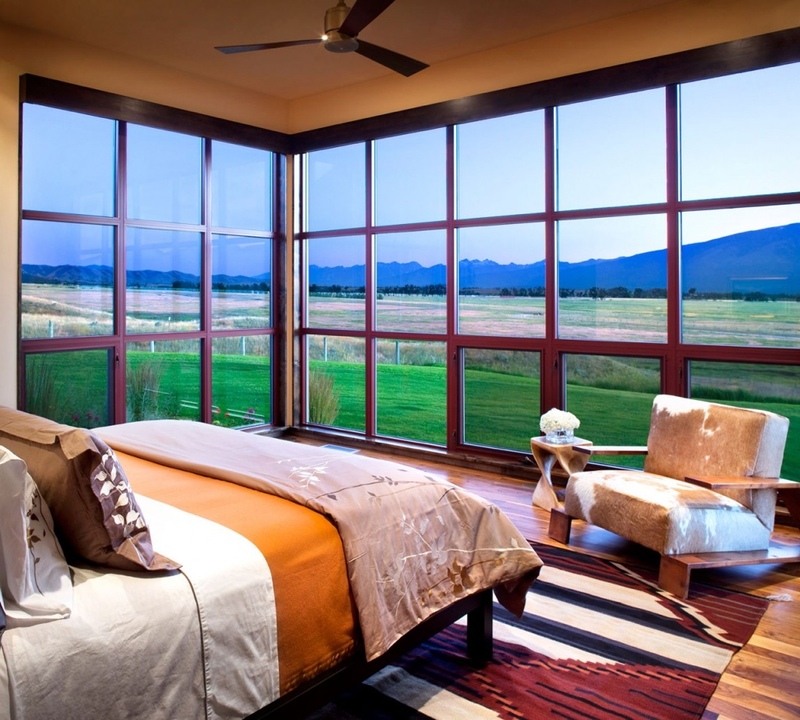 Bozeman-based studio “Locati Architects” completed this project in 2010. This Stock Farm Residence project rests on rural setting, single story home, but is no small farm. Location: small town of Hamilton, Montana, USA. Where would your design dream home be? This is stunning!!! Wow! I want to live here – but of course the windows would have to be bullet/shatter proof with bunker style security in case the apocalypse hits during our lifetime! !